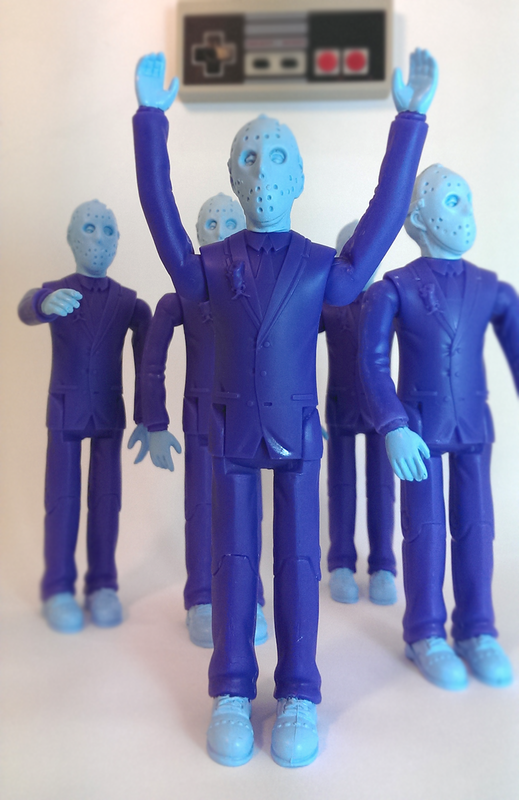 Dropping this Friday, August 22, 2014 at 12:30 PM EST, is a variant on our Crystal Lake Prom bootleg resin action figure. It’s a pretty typical school year at Crystal Lake High. There’s a group of happy children attending the prom. You and your six friends are watching over the kids while enjoying the music and dancing. The night is fun and festive. And Jason is on a rampage. Crystal Lake Prom – 8-Bit Edition is limited to only five (5) pieces, stands a lofty 6 inches tall and features three (3) points of magnetic articulation.